Participants met with leadership from the Smithsonian’s National Museum of African American History and Culture, including Director Lonnie Bunch, III. 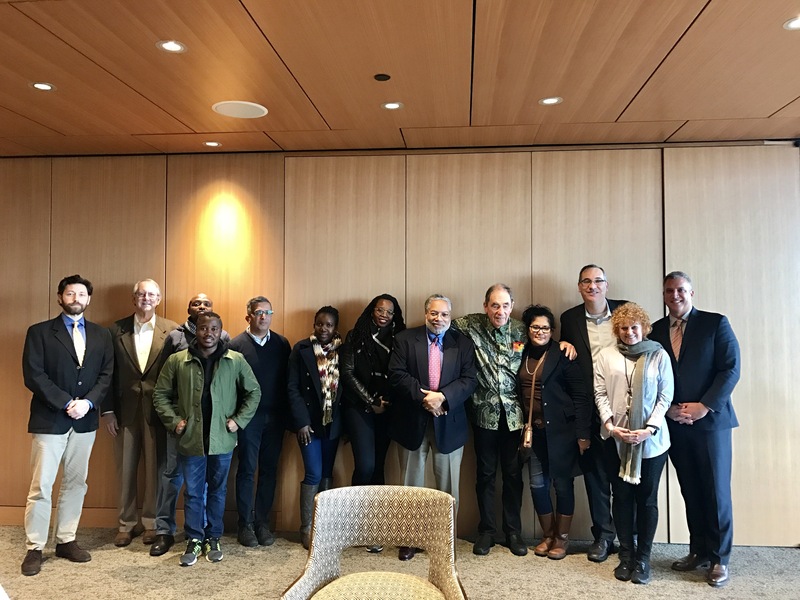 In partnership with the U.S. Consulate in Johannesburg, Meridian organized the South Africa-U.S. Museum Development program which brought participants to the United States to exchange ideas with 23 diverse cultural organizations and museums. The program is designed to bring together museum professionals to learn more about their U.S. counterparts as they build a new exhibition in South Africa at Constitution Hill— a living museum that tells the story of South Africa’s journey to democracy. The site is a former prison and military fort that bears testament to South Africa’s turbulent past having once imprisoned Nelson Mandela and Mahatma Ghandi at different points in history. Today, the site is home to the country’s Constitutional Court, which endorses the rights of all citizens. The participants traveled to Atlanta, GA; Philadelphia, PA; Washington, DC; and New York, NY, meeting with representatives of 23 diverse cultural organizations to bring back best practices to their museum. During the exchange and following their return, the staff of Constitution Hill began to entirely re-conceptualize the project. They left the tour with more questions than when they began, but all in the spirit of creating a more moving and inclusive experience. Uniformly, the delegation found the Smithsonian National Museum of African American History and Culture (NMAAHC) to be the most transformative part of the trip and, as such, have invited two NMAAHC staff members, Director Lonnie Bunch and Curator Paul Gardullo, to Johannesburg for a reciprocal exchange this spring. During their stay, they will have the opportunity to speak at a conference on human rights and to organize workshops with various stakeholders. On the heels of political change in South Africa, this program promises to strengthen the impact of the exchange and will provide a foundation for lasting international partnership.